The physical movement and the athletic movement and, furthermore, the whole of the physical activity, are distinct from other activities due to the organization on the basis of which it is practiced, to the way it is conducted and implemented and to the objectives which it involves. The legal entities in general and the ones of the sports sector in particular have been constituted so as to cover specific social needs, in accordance with the provisions of the applicable regulations and the ones of the Constitution. In Physical Education and Sport there are many interesting legal entities, some governed by Private Law and some by Public Law. This athletic action and particularly the sports contest can be achieved only within a specific framework of rules governing the contest and of rules of law, so as for all the above mentioned issues to be regulated. The physical and the athletic activity, as sports’ manifestations, regulated by legal rules, constitute a specific cognitive field for both the sports science and the legal one. Sports rules are established in order to cover public and private interest in sport in the context of national and international sport activity. Sports rules, as the rules of the game, prevail over ordinary rules of law since they have been specially enacted for specific sports activities. The rules of ordinary law apply in sports for many issues. They may apply directly due to the lack of special sports rules or indirectly by absorption with analogous adaptation and implementation where appropriate. Keywords: Legal Horizon, Legal Order, Lex Specialis, Lex Sportiva, Physical Activity, Physical Education, Physical Movement, Private Law, Sports Law, Sports Science. © Dimitrios P. Panagiotopoulos; Licensee Bentham Open. The physical movement and the athletic movement and, furthermore, the whole of the physical activity, are distinct from other activities due to the organization on the basis of which it is practiced, to the way it is conducted and implemented and to the objectives which it involves. This distinction is mainly based on the following elements: a) the form of the organization of the activity and b) the nature of the physical movement involved, which determine the practical aspect of the physical movement, as well as on the objective which is sought by that specific practice. These elements determine the particular character of the physical movement within this practice and define the nature of the physical movement as a part, a molecule of that specific kind of activity [1Panagiotopoulos D. Sports Law: Lex Sportiva & Lex Olympica. Athens: Ant. Sakkoulas Publishing 2011.]. The physical movement is analyzed on the basis of the elements above mentioned and is qualified as: a) a movement of an athletic nature, whenever this physical movement is a sports-related movement and it leads in a sports practice within a sports event, b) a movement related to physical exercise, if it aims to the physical differentiation, whenever it is a movement associated with physical health and wellbeing, while c) a movement of a recreational nature is the one which leads to a physical action for recreational purposes and is a movement linked with one’s entertainment on his leisure time. There is also d) a physical movement of an educational character, whenever a physical movement aims to educate, to cultivate peoples’ knowledge of the physical movements and their awareness of physical education. The financial means, which it uses so as to achieve this objective. Consequently, a group of individuals - natural persons can constitute a systematic organization of a specific athletic and physical activity, having a specific duration in time. It becomes obvious that, in such a case, the legal nature of this institutional organization shall be one of private law. And it will be so because the authority of that institution is a private one, as well as the objective sought is private, the one of individual growth through physical activity and of achieving a private benefit. The objective is, so to say, the service of a private interest through the constitution of a physical and athletic activity, which satisfies peoples’ need for physical and athletic activity, practiced in accordance with some initially agreed principles. The associations of persons in the field of Physical Education and Sport serve mainly social objectives, cultural and professional ones, bearing the legal form of athletic associations or commercial companies (initial Regulation on the same subject 879/1979, Article 1 par.1 in: Athl. Code in Greek.1997, p. 405 et seq., Athletic Public Companies (S.A.s), Gr Law 2725/1999, modified by Acts 3057/2002 and 3262/2004) [2Antonopoulos V. Commercial Code (in Greek) Thessalonica : Skkoulas1985 Panagiotopoulos D Sport Law Code I (in Greek), Athens: Ant N Sakkoulas 2005.]. It has become necessary nowadays to unite peoples’ efforts in every sport, so as to fulfil objectives which could not be achieved by just one person alone. “The grouping phenomenon constitutes an inherent and dynamic element of modern social life” [3Vlachos G. Sociology of Human Rights. Athens: Euthyni 1976.]. The organization form of physical movement into an athletic and physical activity by a group of individuals, as examined above, also defines the nature of the physical movement as being an athletic one and the nature of the related organization as being an athletic legal entity, which aims to serving the purposes of this specific activity. Before proceeding further to the distinctions, it is appropriate to investigate the notion and the nature of an organization destined to serve an athletic and physical activity, as an athletic organization and as a legal entity. The legal entities in general and the ones of the sports sector in particular have been constituted so as to cover specific social needs, in accordance with the provisions of the applicable regulations and the ones of the Constitution. As far as the legal entities in general are concerned, various theories have been developed, two of which prevail; the one considers legal entities as being creations of the Law and the other considers them as being collective realities. The “bodies (organic) theory” is closer to the provisions of the Gr Civil Code Art. 68, 70, 71, which attribute to the entity’s bodies a proper will and powers [4Simantiras K. General Principles of Civil Law. Athens: Symp. A´ 1980.]. According to this theory, but also to the provisions of the Civil Code, the legal entity has as a will of its own, which is the one that is formed and expressed in accordance with the legal process and within the limits of power determined by the entity’s bodies. The entity also has a liability of its own and is liable for the acts and omissions of its bodies. On the basis of the first theory the legal entity does not exist in the physical reality; it is a legal creation and, therefore, it does not have a proper ability to enter into contracts. It uses the one of its representatives, who acts on its behalf [5Papanikolaidou D. Administrative Law (in Greek) Thessalonica – Athens: 1977 Balis G General Principles of Civil Law. Athens: Sakkoulas Publications 1977.]. The legal entities are generally divided into two categories, the ones governed by Private Law and the ones governed by Public Law. This distinction, as many believe, is mainly due to the nature, the operation form and the legal regime which apply to these legal entities. The distinction criterion, which differentiates the public entities from the private ones, is first, the explicit definition of their nature by the law [6Spiliotopoulos E. Administrative Law Handbook. Athens: Sakkoulas Publications 1981.]. There is also a different opinion, according to which the classification criterion of a legal entity to the Public Law ones does not result from a legal provision but has been a creation of Science. Another criterion, which determines the operational regime of legal entities as being a public law one, is the purpose they serve; if they aim to reaching a public interest goal, which falls within the competence of the State, they are public law legal entities (Hellenic High Court case 168/1949, C.L.R. 1949, 16, 553). In such a case, an institution bearing public power has a certain independence from the State. One must indicate that there can also be some legal entities which are Private Law ones, with regard to their legal form, but serve a public interest goal or public needs and have been founded on the basis of receiving State financing [7Dagtoglou P. General Administrative Law. Komotini: Ant. Sakkoulas 1977.]. In such a case these entities are called “legal entities of a mixed nature” and such entities are Public Enterprises, Public Companies etc. The Public Law entities need to observe, in their operation, the application of Public Law and especially Administrative Law, while their liability for any illegal acts is governed by Civil Code. The criterion for the Private Law entities is that they are founded by individuals and operate in order to meet private goals, set by their founders (Article 104-106, Gr.Civil Code Introductory Law). However, it often happens that, if they are later given some public power or fulfil a State function, these legal entities shift into becoming Public Law entities. The Private Law entities are governed by Private Law rules, which strictly determine the various private entities legal forms in a concrete way, resulting from their impossibility of adopting new and different legal forms than the ones already existing (Gr. Civil Code art.61-126). The Civil Code acknowledges, as being legal entities, the associations, the foundations, the benevolent committees for the collection of financial aid, and indirectly-since the Civil Code states that their regime is also governed by the Commercial Code- the civil companies (Civil Code, Art. 784). The Commercial Code applies to commercial companies and to cooperatives (Commercial companies are: personal companies, public companies and limited liability companies compare with , Gr. Commercial Code, pp. 691-872 ). In Physical Education and Sport there are many interesting legal entities, some governed by Private Law and some by Public Law. The previous analysis and division apply to the sports legal entities, which are private law and public law ones. There are also some special regulations applying to them. For the sports legal entities the related constitutional provision is taken into account [8Manitakis A, Anastasiadis A. The Constitution of Greece, Thessalonica: Presumptions in the Constitu-tional Law (in Greek), V 4 Athens-Komotini: Ant Sakoulas 1983. ], in the way “which is determined by the law” (Gr. Const., Art. 16, par. 9). Therefore, all particularities of the sports field are regulated by special laws which also regulate the nature of the legal entities as private or public law organizational forms. All this clearly indicates that the organizational form of the physical and athletic movement, as an activity, is determined by the legal reality, the actual situation, by the goal sought, by the financial means in place and the interest which is served, as well as by their public or private law regime applicable. In the sports field the most common organizational form is the athletic association, as it will be extensively analyzed below, in the related chapter, from which various organizations derive. The Athletic associations are governed by the article 78 and following of the Civil Code as well as by the provisions of the Greek Sports Act (Gr.Law of Sport 2725/1999) [9Panagiotopoulos D, Mournianakis I. Suspension of governing bodies: Analysis World Sports Law Report 2006; 4: 8 -11. and Sports and Law Association Autonomy and State. Regulation 2006: 189-192.]. The way into which a physical movement takes place and the goal this movement aims to allow the distinction between a sports activity and a physical exercise aiming to the biological differentiation, to a leisurely or to an educational purpose. These elements confer particular characteristics to the physical movement and indicate whether the movement in question can be qualified as an athletic action or a physical activity [10Panagiotopoulos D. Institutional Foundation of Physical Education and Sports Games. Int J Physic Educ 2010; 1: 25-35.]. The particular conditions, in which takes place the physical movement, as a form of physical activity, reveal: a) the particular way in which it is implemented and b) the particular purpose of its implementation. These elements confer some particular characteristics to the physical movement and determine its proper nature. When the physical movement takes place freely and under no particular conditions, aiming only to leisure and to fulfil personal needs, such as the physical differentiation, the achievement of a body output, in a natural manner, or the achievement of a healthy way of life -regardless whether it takes place on an organized or an individual basis one can suggest that it is a physical movement, aiming to the physical exercise in general, the body strengthening, the physical well-being and health [11Papathanasiou M. The E.U. Law legislative horizon over sports for recreational or tourist purposes, as well as for the full use of leisure time. In: Panagiotopoulos D. Proceedings of the 5th Congress of International Association of Sports Law (IASL); 1997 Athens: EKEAD; 1998 ; pp. 105-111. Panagiotopoulos D. Legal Aspects of Sports Tourism Protection, Greece and European Union. e-Lex Sportiva Journal (e-Lex.SJ) 2013; I: 1: 34-39. Voicu Al. V. Competence Building Regarding Taking Professional Responsibility in the Management of Sport Tourism Activities In Romania. International Sports Law Review Pandektis 2014; 10: 461-475. Nafziger J. A.R. “Nationality Identity In Sports Tourism. Int Sports Law Rev Pandektis 2014; 10: 351-357. ]. The realization of the physical movement in a specific conditions context, such as an organized educational area, destined to fully train a person through specific programs, in which the physical movement is used as an educational tool, the implementation of the physical movement in a determined and particular way becomes necessary; in such a case, the person practicing the movement in question has a particular quality, by virtue of which he implements the physical movement. The above mentioned elements confer the physiognomy of an educational process to the physical movement, which, in such a case, fulfils the mission of educating the young people in all levels of the educational pyramid. The person receiving the education, the aim of the physical movement, as well as the institution through which the education is provided, are determined ones. The aim of the physical movement is mentioned in the Constitution and it consists of an education taking place through the physical movement, in order for the physical and intellectual faculties of the young people to be developed, through the exercise of the body, as well as their character to be forged (Gr. Const. art.16, par. 2) [12Panagiotopoulos D. Law of the Administration in the Physical Education. Athens: Telethrion 1992.]. This physical movement takes place in the area of the school, under the particular conditions and rules of its educational operation. Thus, in this particular case, the physical movement, although having its proper educational characteristics, is also governed by the particular characteristics of the school’s organization. Its way of being provided to young people reveals the existence of a particular system, the physical education of the body, meaning the education through the exercise of the body. The physical movement, examined as a movement associated to sport or as the expression of an athletic action, contrary to the previously mentioned activities, presents some totally different characteristics. In this case, the athletic movement aims to the physical output, achieved through the culture of the physical abilities. It also aims to the physical excellence attested by means of the participation to a sports contest, where performances are recorded. This activity presupposes the existence of the following conditions: a) a performance measuring unit for the comparison of the participants’ performances, b) specific conditions for the participation in athletic events, c) the possibility to control if the participation conditions are met as well as the way in which the physical activity takes place, as an athletic action, d) a clearly determined way of manifesting the physical activity, as an athletic action, e) certainty and validity of the events’ results, f) reliability of these results, and g) a sanctions’ threat in case of an infringement of the participation conditions or of the athletic - competitive action, serving a public or a private goal, and it is totally different from the previously other forms of movement mentioned. This physical movement, conditioned by the characteristics above mentioned, is the athletic movement and it is manifested under the conditions of the athletic action and aiming to its goals, achieved through sports, which form a special expression of the athletic movement, combined with the athletic training and the sports contests. This athletic action and particularly the sports contest can be achieved only within a specific framework of rules governing the contest and of rules of law, so as for all the above mentioned issues to be regulated. These rules are applicable to all either because they are accepted by the interested parties, which see to their application, or because their mandatory application in the practice of an athletic activity is associated with the fear of the sanctions applicable if these rules are violated. The sports contest is consequently associated with the specific social organization destined to this purpose, taking place under particular regulations and rules of law, aiming to assure the goals of the athletic action, within the framework of the athletic association existence and of the athletic life. This organized athletic movement materialization form, consisting of an athletic event - of the athletic action, or more precisely of an athletic contest, taking place in the conditions of an organized competing process, aiming to an athletic goal, in accordance with specific regulations and rules of law, forms an athletic actions’ competitive system, the athletic activity, which is the content of the notion of “Sports”. In order for sports and for the physical education to constitute a study and research field for the legal science, it is necessary to indicate that these two objects are defined legally as well. As a result of the previous analysis, the sports science and its specific branches all of them define the notions of sports and of the physical education. The athletic movement, as a sports activity taking place within the framework of the sports’ notion, the physical movement, as a physical education form, as a physical activity in school - taking place by means of the education of the body - as well as the physical movement as a form of physical wellbeing, as previously exposed, are governed by a specific legal rules’ system, aiming to the satisfaction of various goals, including a public service one, through a special form of organization. Consequently, in the degree, in which these movement forms are regulated by legal provisions, the law does not provide in all situations the notions of sports and of physical education or of physical wellbeing with a legal content, but only when the activities related to them take place. In other words, such content is attached by the law to the athletic practice, to the athletic activity and to the physical activity in general. This is the reason why the notion of Sports Law is pronounced in English not just “Sport Law” (meaning the Law of Sports), but as “Sports Law” (the Law of Sports and of the physical activity - Sports Law). By the term “Sports Law” one defines the law that regulates the activity taking place within the world of sports and of the physical action and not the law of Sports in an abstract and general way. The nature the physical and athletic activity, taking place within the framework of sports and within the particular areas where the physical movement is expressed, presents, by essence, the need for its legal regulation, which also determines the nature of the regulation in question and is considered to belong to the field of the Law related to this activity. Only in case where there are some legal regulations defining in a general manner the Sport’s notion, as it is the case of Act 2725/1999 on “Amateur and professional sports and other provisions”, and taking into consideration the spirit of these provisions, the notion of Sport is legally defined. The Act in question, by defining lesser notions, such as the “amateur” and the “professional” ones, also ends up regulating the wider notion of Sport, since its content is determined as well as its amateur and professional manifestation, which are elements constituting it. This Act gives to Sport its legal content by also referring to the case law, through specific provisions. It becomes obvious that, for the sports science, Sport and the physical activity can be legally defined; therefore, Sport becomes interesting for the legal science as well. The physical and the athletic activity, as sports’ manifestations, regulated by legal rules, constitute a specific cognitive field for both the sports science and the legal one [15Dimitrios Panagiotopoulos. Aspects of Sports Law & Lex Sportiva 2013.]. (Court of Appeal judgment dated 27-8-1995) [23Meirim M-J. Sports Action and Professional Sports. Int Sports Law Rev Pandektis 1998; 4: 215-30.]. It has been stressed that only state law has the requisite degree of universality and that only such law can apply to and be binding on all. This is so because there is a wide-ranging, frequent need for intervention by the state legislator in order to protect the private sphere and to ensure that it is not harmed by private agreements in sports activities, and above all to protect the public and sporting order [24Panagiotopoulos D. The Greek Constitution Concerning Sport and Sports Federation. In: Lee J-M, Baek Seung-Heum, Eds. News Prospects of Sports Law. Seoul: YR Publish Company 2013; pp. 143-75.]. Thereby, these issues include illegal violence, established business and sport practices, protection of the weaker contracting party in sports contracts between unequal parties [25Stathopoulos M. Sports Law. Proceedings 1st IASL Congress; 1992; p. 33. Xiaoping W. Legal Relations of Parties involved in Professional Sports. e- Lex Sportiva J . 1: 131-40.]. Sports rules, as the rules of the game, prevail over ordinary rules of law since they have been specially enacted for specific sports activities. This is so even though they may come into direct conflict with the rules of ordinary law. In that sense sports such as boxing, karate, fencing and so on are not to be judged on the basis of ordinary law, otherwise injuries which occur during the conduct of such sports would be punishable criminal acts. Such a characterization does not exist in the context of sports activities because the injuries occur while the game is being played. In other words, that which would otherwise make the act illegal has been removed since it occurs during a “sports competition”[26Belitsos P. Sport and Physical Education. Athens. Publisher 1975.] and consequently it must go unpunished. This view fully accepts the view of Demosthenes expressed about Aristocratus, 53: "ζεάν τις αποκτείνη εν άθλοις άκων ...μη φεύγειν κτείναντα"and even if someone kills another during the game with no such intention…not to be prosecuted, relating to case of an athlete who appeared to have been killed during a sporting event. At the same time it shows the spirit and content of Attican Law on similar issues which related to sporting events [27Panagiotopoulos D. Theory of Sports Law. In: Panagiotopoulos D, Ed. Proceedings of the 2nd Panhellenic Sports Law Congress. 102-7.]. The rules of ordinary law apply in sports for many issues. They may apply directly due to the lack of special sports rules or indirectly by absorption with analogous adaptation and implementation where appropriate [28Panagiotopoulos D. Sports law foundation sports regulations as rules of law- a fundamental institutional approach. In: ISLR Pandektis. 2009; 8: pp. 1-10.]. In many cases sports rules prevail over the rules of ordinary law. As many have claimed the general provisions of civil law need to be tailored by special rules of public law for individual sports relations [29Kefalas C. The problem of implementing general clauses of the civil code in sui generis convension of Sports activities. In: Panagiotopoulos D, Ed. Proceeding of the 1st International Sports Law Congress. Athens Greece: Telethrion publishing 1992; pp. 338-56.]. One example of this in Greece is the implementation of the general provisions of the Civil Code, which relate to elections at sports clubs (Article 101 of the Hellenic Civil Code). These provisions relate to the illegal participation of members of a sports club due to restrictions on their holding such posts or other impediment. The court, despite the existence of sports rules of law and specialized provisions in the Sports Act for these cases, does not implement the special provisions in the sports rules as prevailing rules as it ought to in this case declaring the elections invalid in accordance with the principle of law Lex Specialis Derogat Legi Generali [30Panagiotopoulos D. Reglements Sportifs - Limites Juridiques et Lex Specialis De-rogat Legi Generali. Revue Juridique Et Economique Du Sport 2003; 68:87-98. Panagiotopoulos D. General Principles of Law in International Sports Activities and Lex Sportiva. International Sports Law Review Pandektis 2014; 10: 332-50.]. Nonetheless, based on the principle of the causal link contained in the general principles of civil law and the characterization of such disputes as an internal matter for the club, to the extent that the result of the elections is not affected by the illegal participation of those members in sports law terms, no issue of invalidity arises [31Králík M. Legal doctrine concerning criminal liability of Sports partici-pants for Sports-Related Injuries and its reflection in the Czech Republic. e-Lex Sportiva J 2014; 2: 49-57. ], (Judgment No. 149/1992 of the Piraeus Magistrate’s Court and judgment of the Court of Appeals of Larissa 500/1995 which states that “… The Court of the First Instance of Larissa gave a false interpretation and application of the provisions of the sports legislation… and accepting the appeal declared INVALID the actions and decisions of the supervisory committee, dated at 24th and 25th of July 1993, as well as those of the general meeting of the member-unions of the defendant association which refer to a) the declaration and acceptance of candidatures and b) the holding of elections for the officials for the nomination-election, 23600/95. Court of the first instance of Athens - Presentation of documents 1862/95, Court of the first instance of Athens Annulment of verdicts - Water Ski Federation - the illegal representation of the union, number of participants, causal link because of the small number of participant members, 1587/96 Court of the first instance of Athens - Election of Athens Union of Football Clubs officials. Participation of illegal representatives, practicing members and coaches in violation of the law (incompatibility of holding two or more positions in Act 75/1975 and 2725/1999 Article 3)- preparation of party ballots in violation of the law and of the charter - counting of ballots for persons not marked with a cross on the ballot paper- there is no causal link between the reported violation and of the decision taken, appeal declined. See Magistrate’s Court of Athens 8874/17-10-1996, as well as the Supr. Court 116/1997, 25/96 Court of the first instance of Nafplion. Injunction-Challenge to election of officials of the sports club). However, the moral aspect of sports is affected and the sports order is shaken which then seeks to protect in effect the sports rule of law since the internal activities of the sports club have repercussions of sport life, sports order, and ethics. Consequently, in sporting activity we cannot talk of direct and absolute implementation of the rules of ordinary law but about implementation by analogy, by absorption on the basis of special sports rules of law, of a Lex Sportiva [32Panagiotopoulos D. Lex Sportiva- Lex Olympica and International Sports law. In: Dimitrios P. Panagiotopoulos, Wang Xiaoping, Eds. Proceeding of the 18th IASL Congress. Beijing-Athens: EKEAD 2012; pp. 20-31. ], having regard to the special conditions under which sporting events take place and the special nature of sports as an institution and the objectives which it serves. In China a western model of management in Sports is already established and it provides the possibility for sport’s unions to set private rules of management and independence including the possibility for funds to be gathered from private sources according to the new law [33Nafziger J. Lee Wei China’s Sports Law. American Journal of Comparative Law 1998; XLVI: 467-471. Tang Y. The Concept Of Sports Law In China. International Sports Law Rev Pandektis 2014; 10: 442-50.]. The nature of sport requires special sports rules, which ought to absorb the substance of the rules of ordinary law where and when this is absent [34Shevchenko O. The institutional autonomy of sport and the limits of the freedom in the employment relationship. e-Lex Sportiva J (e-LexSJ) 2013; I: 3-21.]. This is so because law cannot limit sport but ought to be focused on promoting it. The substantive core of the Lex Sportiva, sports rules of law in other words, ought to relate to the compulsory application of such rules, their interpretation, application and review of sports provisions within the context of sports and competitive activities generating what one might call sports jurisdiction -‘sports justice’ while also raising issues about who is the most appropriate judge in such cases [35Panagiotopoulos D. Sporting jurisdictional order and arbitration. US-China Law Rev 2013; 10: 130-40.]. The reasons underlying the emergence of law in sports rules are the sports event itself and not as Western thought has come to view things the ‘game’. Sporting activity, and in many cases, the conduct of the event requires special rules on how the competition is to be played. 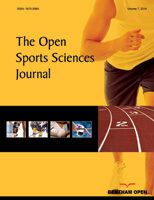 The interest and presence of athletes themselves and sporting figures shapes or jointly shapes rules of law whose objective is to ensure a) some measure of comparability between competitors, b) the terms of participation in competitions, c) how the sports competition is to be conducted, d) certainty and the validity of the result of the competition, e) the ability to check the terms of participation in competitions, f) the reliability of the result and g) the imposition of sanctions in the case of breaches of the terms and the way in which the sports competitions are held. Consequently, these rules of law together with the framework of ordinary law constitute a Lex Sportiva, a sports law. The Sports Law is the science of the Sports object by definition; it constitutes an inner part of the other branches of the sports science, which are included in that science, define it and govern the athletic activities, sports and the physical education. The athletic and physical activity within the field of sports, physical education and wellbeing, constitute the main Sports Law object of study, given that these activities are governed by specific legal rules. The physical exercise in general and the right of practicing it for health, recreational and social purposes, or its practice within the educational framework, are also part of the Sports Law, given that these activities are also regulated by legal provisions. This athletic action and particularly the sports contest can be achieved only within a specific framework of rules governing the contest and of rules of law, so as for all the above mentioned issues to be regulated. These rules are applicable to all either because they are accepted by the interested parties, which see to their application, or because their mandatory application in the practice of an athletic activity is associated with the fear of the sanctions applicable if these rules are violated. The rules governing sporting competition, sports rules of law prevail over ordinary rules of law on special matters since they have been specially enacted for the sporting competition even though they may come into complete conflict with those ordinary rules. The general principle of Lex Specialis Derogat Legi Generali, also applies to the Lex Sportiva, sports law, according to which special rules of sport law prevail over ordinary rules of law. Panagiotopoulos D. Sports Law: Lex Sportiva & Lex Olympica. Athens: Ant. Sakkoulas Publishing 2011. Antonopoulos V. Commercial Code (in Greek) Thessalonica : Skkoulas1985 Panagiotopoulos D Sport Law Code I (in Greek), Athens: Ant N Sakkoulas 2005. Vlachos G. Sociology of Human Rights. Athens: Euthyni 1976. Simantiras K. General Principles of Civil Law. Athens: Symp. A´ 1980. Papanikolaidou D. Administrative Law (in Greek) Thessalonica – Athens: 1977 Balis G General Principles of Civil Law. Athens: Sakkoulas Publications 1977. Spiliotopoulos E. Administrative Law Handbook. Athens: Sakkoulas Publications 1981. Dagtoglou P. General Administrative Law. Komotini: Ant. Sakkoulas 1977. Manitakis A, Anastasiadis A. The Constitution of Greece, Thessalonica: Presumptions in the Constitu-tional Law (in Greek), V 4 Athens-Komotini: Ant Sakoulas 1983. Panagiotopoulos D, Mournianakis I. Suspension of governing bodies: Analysis World Sports Law Report 2006; 4: 8 -11. and Sports and Law Association Autonomy and State. Regulation 2006: 189-192. Panagiotopoulos D. Institutional Foundation of Physical Education and Sports Games. Int J Physic Educ 2010; 1: 25-35. Papathanasiou M. The E.U. Law legislative horizon over sports for recreational or tourist purposes, as well as for the full use of leisure time. In: Panagiotopoulos D. Proceedings of the 5th Congress of International Association of Sports Law (IASL); 1997 Athens: EKEAD; 1998 ; pp. 105-111. Panagiotopoulos D. Legal Aspects of Sports Tourism Protection, Greece and European Union. e-Lex Sportiva Journal (e-Lex.SJ) 2013; I: 1: 34-39. Voicu Al. V. Competence Building Regarding Taking Professional Responsibility in the Management of Sport Tourism Activities In Romania. International Sports Law Review Pandektis 2014; 10: 461-475. Nafziger J. A.R. “Nationality Identity In Sports Tourism. Int Sports Law Rev Pandektis 2014; 10: 351-357. Panagiotopoulos D. Law of the Administration in the Physical Education. Athens: Telethrion 1992. Farandos G. Theory of the Sports Law Science. In: Panagiotopoulos D, Eds. Proceedings of the 1st IASL Congress 1992; Athens: Telethrion. 1993. Reschke E. Rechtswissenschaft - Sport und Recht des Sports. In: Haag H, Straus Mbernd G, Haintse Z, Eds. Theorie und Begründung der Sportwissenschaft. Hofman Soerndorf publishing 1989; pp. 163-73. Dimitrios Panagiotopoulos. Aspects of Sports Law & Lex Sportiva 2013. Panagiotopoulos D, Ed. Sports and European Community law. Athens: Ion Publishing 1998. Auneau G. Legal aspects of the Financial management of Sports activities. 1997. Dimitrios P. The institutional autonomy ofsport and the limits of the economic freedom. 4th IASL Congress, Nov. 10-11 Nov., Barcelona), International Sports law Review Pandektis 2012; 5(1): 31-45. Panagiotopoulos D. Ethics in Sports, Rights and Obligation in the Sport Process:1993, Proceedings of the 2nd International Congress on Sports Law. 1998. Panagiotopoulos D. The institutional autonomy of sport and the limits of the economic freedom International Sports law Review Pandektis 2003. Karaquilo PJ. Le Droit du Sport et la Droit Selon. Proceedings of the 18th Conference for the European Community In: Council of Europe 1989; pp. 13-4. Evans C. An. English. Law of Sport. In: Michael RW, Ed. Auf Dem Wege Zu Einem. Europaishen Sportrecht 1989; pp. 91-5.; Nafziger J AR. Resolving Disputes Over Financial Management of Athletes: English and American experiences Villanova Sports & Entertainment Law Journal 1996; 3(2): 412-22. International Sports Law Review Pandektis 1998, 3:39-48. Meirim M-J. Sports Action and Professional Sports. Int Sports Law Rev Pandektis 1998; 4: 215-30. Panagiotopoulos D. The Greek Constitution Concerning Sport and Sports Federation. In: Lee J-M, Baek Seung-Heum, Eds. News Prospects of Sports Law. Seoul: YR Publish Company 2013; pp. 143-75. Stathopoulos M. Sports Law. Proceedings 1st IASL Congress; 1992; p. 33. Xiaoping W. Legal Relations of Parties involved in Professional Sports. e- Lex Sportiva J . 1: 131-40. Belitsos P. Sport and Physical Education. Athens. Publisher 1975. Panagiotopoulos D. Theory of Sports Law. In: Panagiotopoulos D, Ed. Proceedings of the 2nd Panhellenic Sports Law Congress. 102-7. Panagiotopoulos D. Sports law foundation sports regulations as rules of law- a fundamental institutional approach. In: ISLR Pandektis. 2009; 8: pp. 1-10. Kefalas C. The problem of implementing general clauses of the civil code in sui generis convension of Sports activities. In: Panagiotopoulos D, Ed. Proceeding of the 1st International Sports Law Congress. Athens Greece: Telethrion publishing 1992; pp. 338-56. Panagiotopoulos D. Reglements Sportifs - Limites Juridiques et Lex Specialis De-rogat Legi Generali. Revue Juridique Et Economique Du Sport 2003; 68:87-98. Panagiotopoulos D. General Principles of Law in International Sports Activities and Lex Sportiva. International Sports Law Review Pandektis 2014; 10: 332-50. Králík M. Legal doctrine concerning criminal liability of Sports partici-pants for Sports-Related Injuries and its reflection in the Czech Republic. e-Lex Sportiva J 2014; 2: 49-57. Panagiotopoulos D. Lex Sportiva- Lex Olympica and International Sports law. In: Dimitrios P. Panagiotopoulos, Wang Xiaoping, Eds. Proceeding of the 18th IASL Congress. Beijing-Athens: EKEAD 2012; pp. 20-31. Nafziger J. Lee Wei China’s Sports Law. American Journal of Comparative Law 1998; XLVI: 467-471. Tang Y. The Concept Of Sports Law In China. International Sports Law Rev Pandektis 2014; 10: 442-50. Shevchenko O. The institutional autonomy of sport and the limits of the freedom in the employment relationship. e-Lex Sportiva J (e-LexSJ) 2013; I: 3-21. Panagiotopoulos D. Sporting jurisdictional order and arbitration. US-China Law Rev 2013; 10: 130-40.